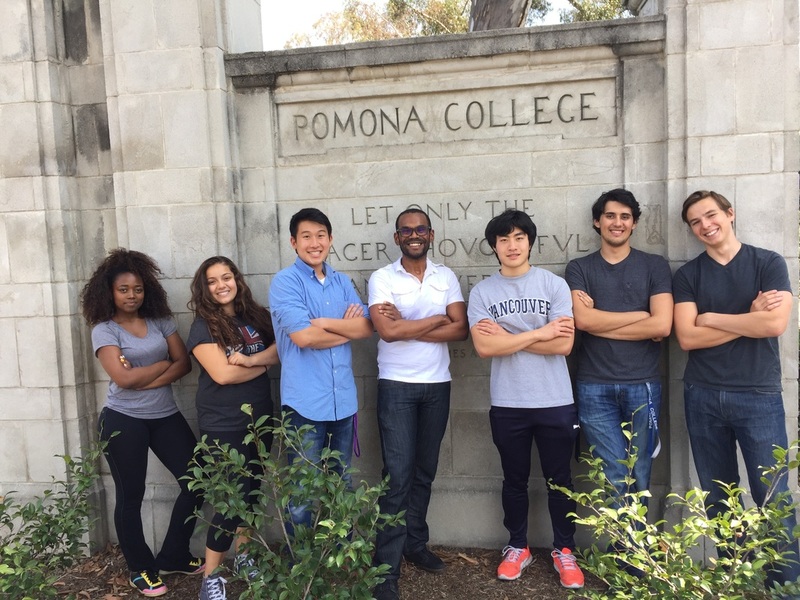 Welcome to the Ball Lab at Pomona College! We are an organometallic chemistry and catalysis lab. This page will include notifications of recent events and news in the Ball Laboratory. 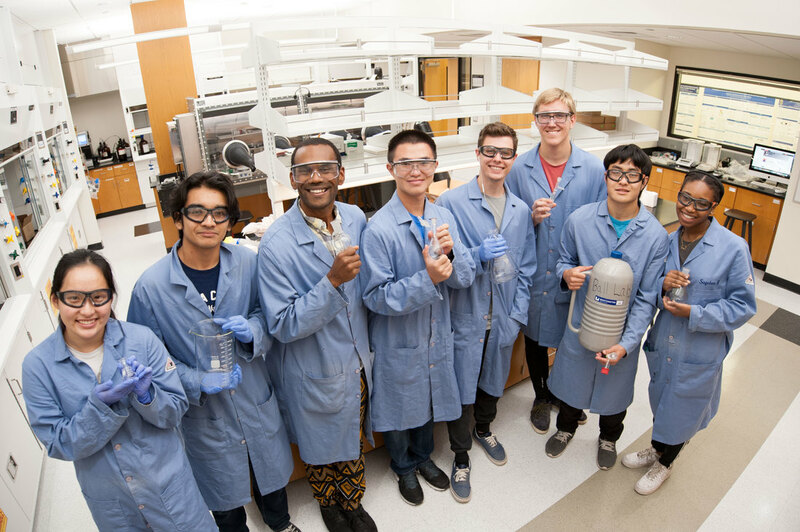 Browse the site and learn about the people, our research, and chemistry at Pomona. 8.2.2018 - Prof. Ball joins the Dr. Jennifer Love's group at The University of British Columbia for their sabbatical! 5.13.2018 - Congrats to Chris Ahn (CMC '18), Neil Chan (PO '18), and Mark Rusznak (PO '18) on successfully completing their thesis and graduation! Chris is working on consulting opportunities. Neil is off to UCLA to pursue a Ph.D. in Chemistry and Mark will be a research assistant at Vanderbilt Medical School. 6.27.2017​ - We have officially moved in SN 217! Now known as the Ball lab. 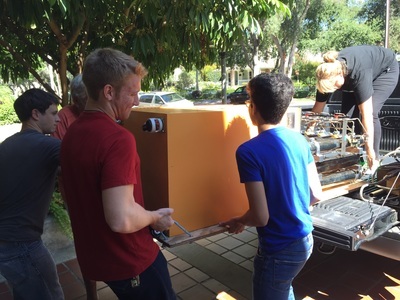 6.22.2017​ - The new Ball Lab is completed at Pomona College. We are ready for the move down the hall. Special thanks to the O'Leary group for sharing space with us for the past two years, Dan O'Leary, Chemistry Department and Pomona College for the new space! 5.25.2017 – Congrats to Edward for being awarded the ACS POLYED Undergraduate Organic award by the Pomona Chemistry department! 5.22.2017 – The Ball Lab welcomes it new members: Sarah Etuk, Ryan Franzese, Edward Gao, Sabrina Kwan, Nick Lewis, Mark Rusznak, and Bryan Santti. Learn more about them here. 5.15.2017 – Congrats to Ball Lab member Cristian Woroch who has been named a Beckman and ACS Scholar! 5.14.2017 – Congrats to Ashish for a successful thesis project and graduating! Best wishes! 9.30.2016 – The Ball Lab welcome its newest member Yannai Kashtan. Welcome! 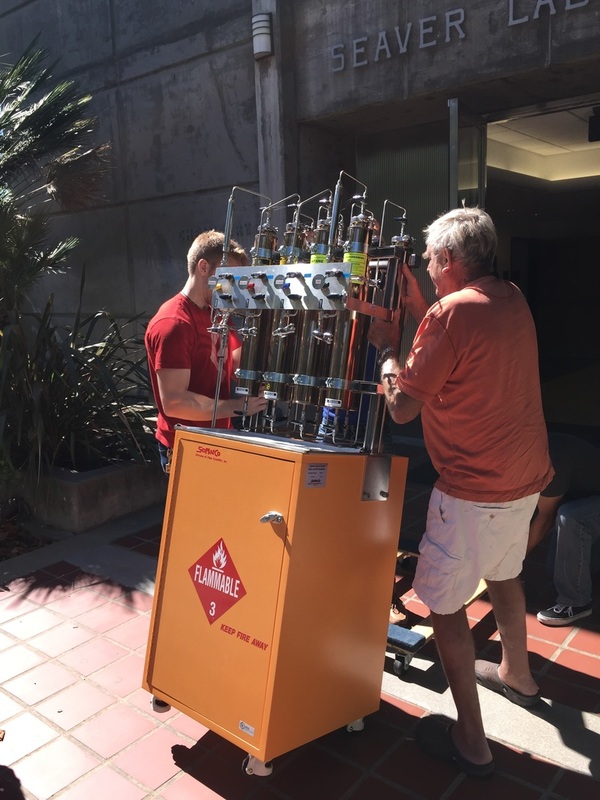 7.22.2016 – The Ball Lab gets out of Seaver North for our inaugural "Get out of Claremont Day". 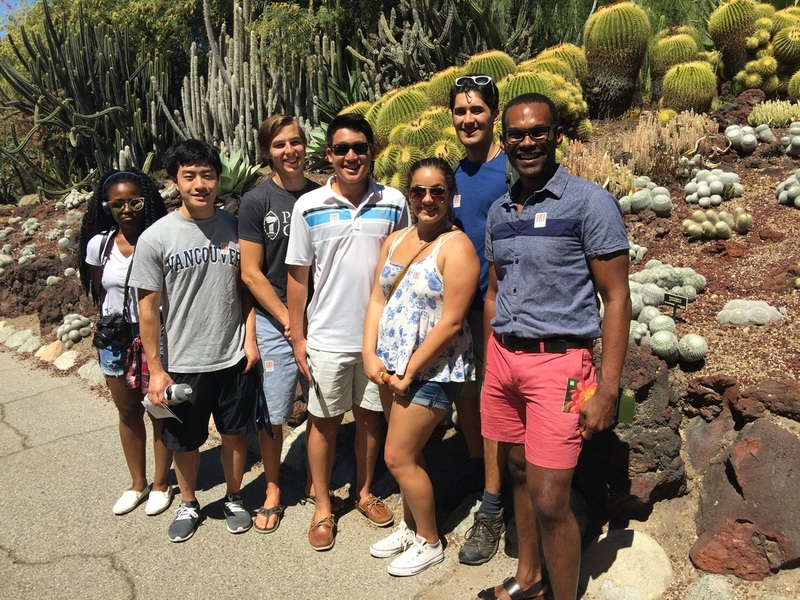 We enjoyed the Huntington Library and Botanical Gardens and spent the afternoon in Old Pasadena! 6.1.2016 – Christopher Ahn '18, Neil Chan '18, Cynthia Nyongesa '19, Melissa Petito '19, Ashish Streatfield '17, and Cristian Woroch '19 join the Ball Lab. Welcome! From Left to Right: Cynthia Nyongesa, Melissa Petito, Christopher Ahn, NDB, Neil Chan, Ashish Streatfield, and Cristian Woroch. 05.25.2016 – Izzy and Phillip successfully completed their thesis requirement and graduated from Pomona. Izzy is starting as job at Phressia as an Associate Implementation Consultant. Phillip will enter the Chemistry Ph.D. program at Princeton. Congrats! 11.15.2015 – Ismerai Rodriguez won the best chemistry poster award at the ABRCMS (Annual Biomedical Research Conference for Minority Students) in Seattle, WA. Erick Velasquez (Liu Research Group) also won the best biochemistry poster award. Chirp! 8.27.2015 – Phillip Clayman '16 joins the Ball Lab. Welcome Phillip! 7.29.2015 – First Ball Lab group meeting over chicken and waffles with Evan and Izzy. 6.26.2015 – The Ball Lab moves to sunny California. Nicholas Ball joins the Chemistry Department and Faculty at Pomona College as Assistant Professor. Three Pomona students join his group Evan DeLorenzo '17, Ismerai Rodriguez '16 (thesis student), and Ariana Tribby '17. Zareh Joukjian joins the group as a pharmacy student from West Coast University in Los Angeles.